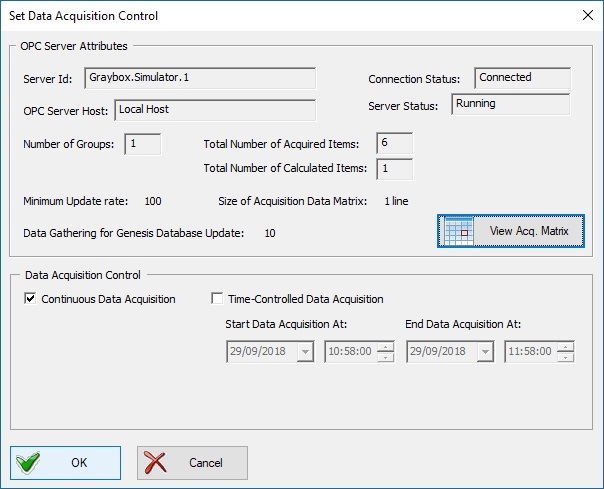 Acqusition Data Matrix is a graphical presentation of the acquisition schedule used internally by Genesis OPC Explorer 3.1 to handle the OPC data acquisition when OPC Groups have different acquisition rate. 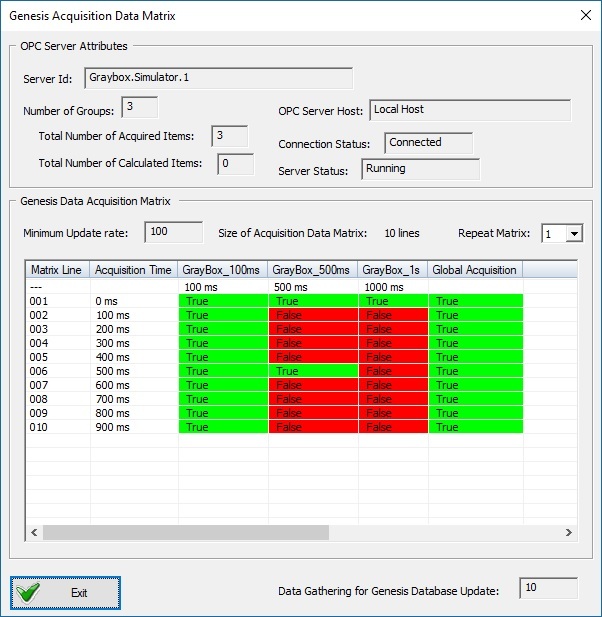 Genesis OPC Explorer 3.1 computes the smallest acquisition rate to allow consistent acquisition and then optimize the OPC acquisition. 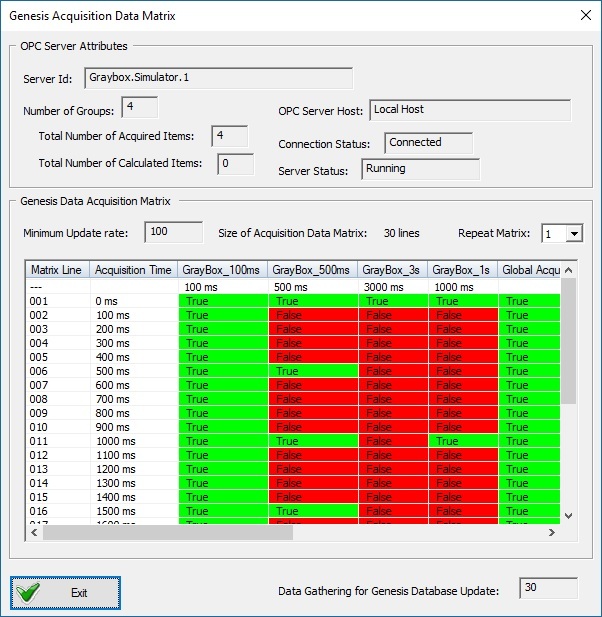 The green cells represent the OPC Groups for which data acquisition is triggered at every periodic acquisition request. 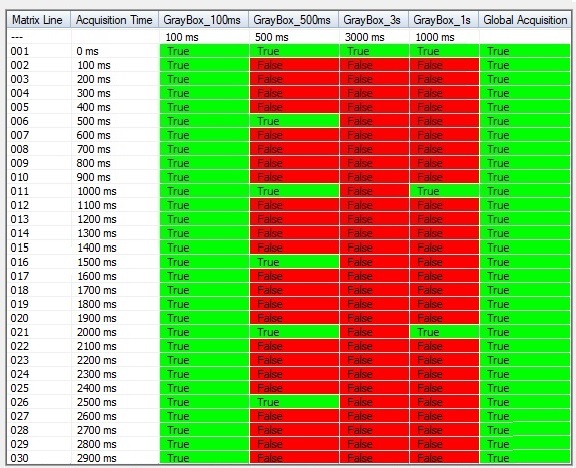 The size of the matrix is limited to 256 entries. 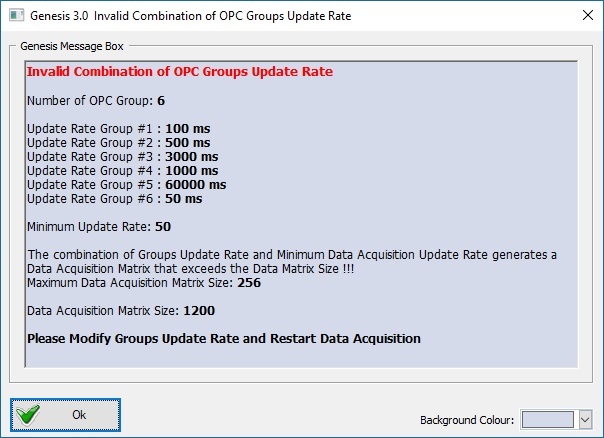 Some extreme combinations of OPC Groups with very fast and very slow acquisition rates generate an invalid Data Acquisition Matrix that exceeds the maxium Matrix size.